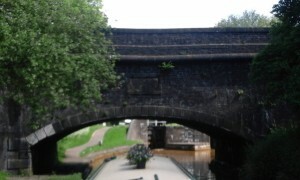 We have done the “Cheshire locks” or Heartbreak Hill today, 25 locks spread out over 8 miles. It’s been very busy with boats. 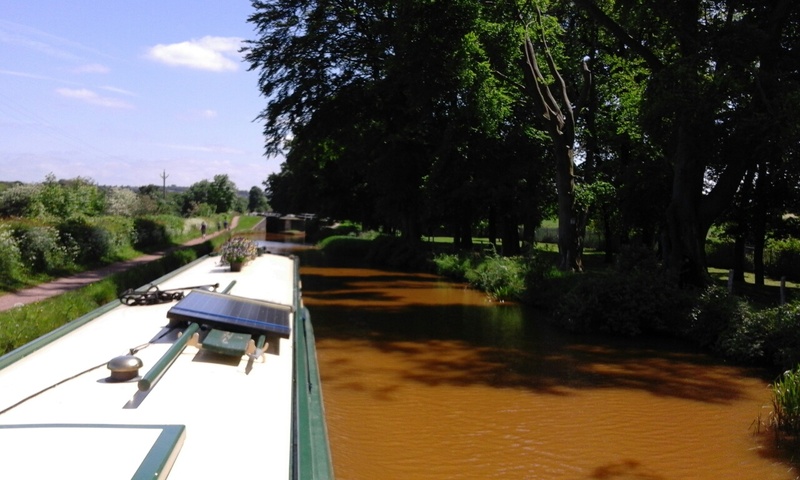 A the Lawton locks quite a queue built up. There are four locks close together. Three of them are doubled, but one isn’t. (There were all doubled in the past). This leads to a bottleneck in the middle, made worse by the fact that there is little space between the locks for waiting boats. 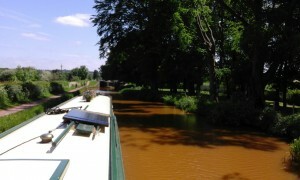 As we got nearer the top the water became more orange. This is due to the iron deposits in Harecastle Tunnel. It’s been really hot today 24° probably the hottest day of the year so far. Certainly the hottest day over our trip so far. I kept a close eye on the battery voltage, but it didn’t go above 14.5. Fingers crossed! We treated ourselves after the exertions of the day and went to the Red Bull pub for our evening meal. Me – steak and ale pie; Heddi – beef stroganoff.